Iran's judiciary said the government's handling of the disaster was being investigated. 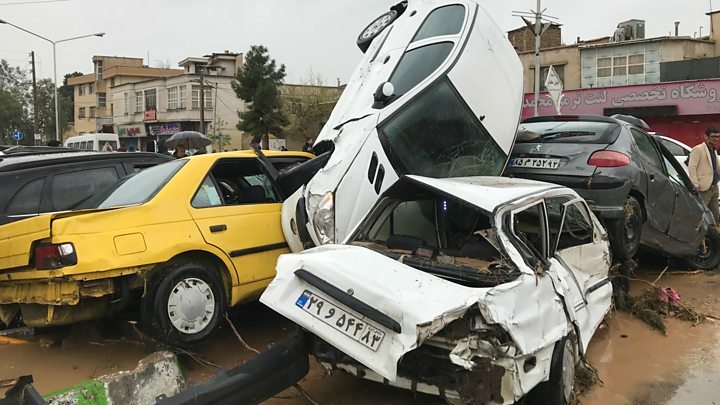 "Any shortcomings regarding the handling of the floods, failure to provide relief and aid to the survivors will be investigated," judiciary chief Ebrahim Raisi was quoted as saying by the Mizan news agency. He added: "I am urging people to stay inside their homes in order to remain unharmed."